Normally, employees will request time off from their own accounts. However, if you need to add time off on behalf of your employees, you can. Click the Create shift button. 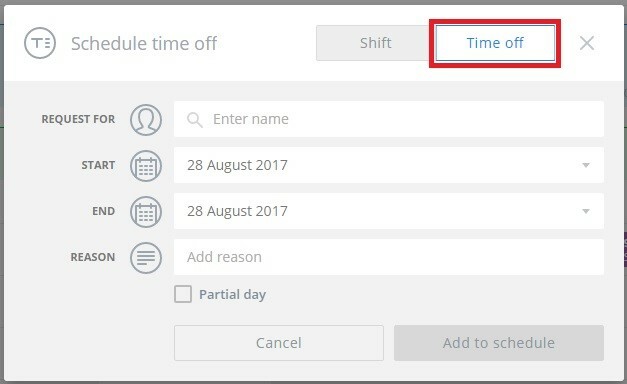 A New Shift window will open, and you can change the format from Shift to Time off at the top right. Fill in the fields and click the Add to schedule button. The time off will be added to the shift calendar and your employee will receive a notification of the approval.